Briefing newsmen on Monday at the command base in Ibafon, Apapa Lagos, Comptroller Umar Yusuf said operatives of the command with support from the Nigerian Navy went after the smugglers around a creek at Itonhu jetty in Badagry. He said that the smugglers however escaped on sighting the customs operatives. The Comptroller said the operatives had to seize what was left after the smugglers got involved in an accident that caused a portion of the consignment to drown in the river. “On sighting the patrol officers, the smugglers in one of the boats in the process of escaping arrest, ran into a creek at Itonhu jetty where they hit a hard surface. 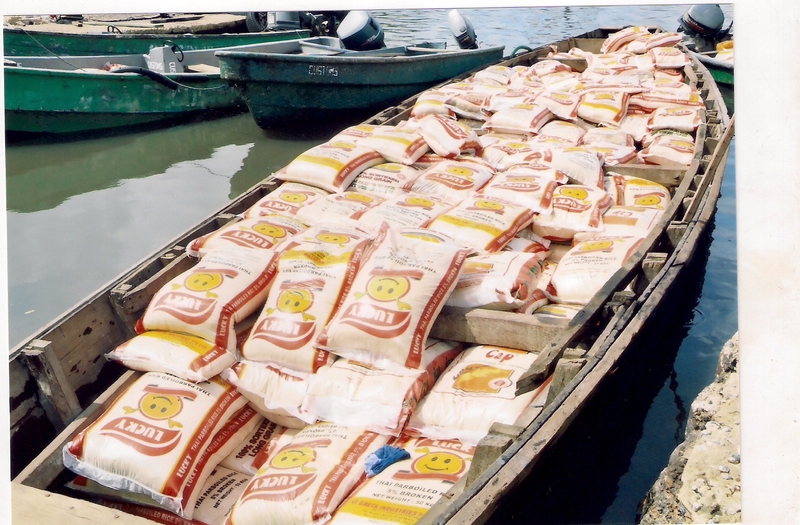 “The impact broke the boat and high tidal waves caused it to sink and a large quantity of the bags of rice were drowned in the water. 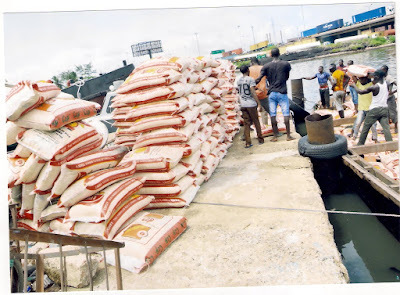 “We were however able to salvage the remaining bags of rice totaling 575, with a DPV of N4, 447,625.00 valued at N2, 616,250.00 and brought them to the base, though no suspects were arrested,” Yusuf said. The Comptroller used the opportunity to once again send warning notes to those who insist on smuggling as a means of livelihood. Yusuf disclosed that the command had so far in the course of the year, recorded seizures valued N263, 094,300, with a duty payable value of N269, 632,075. 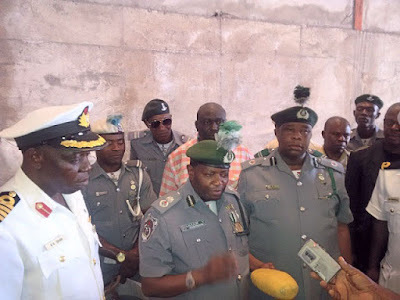 Onepageafrica reports that the command’s anti-smuggling efforts recently earned it a commendation letter from the Comptroller General of Customs, Col. Hameed Ali (Rtd. ).